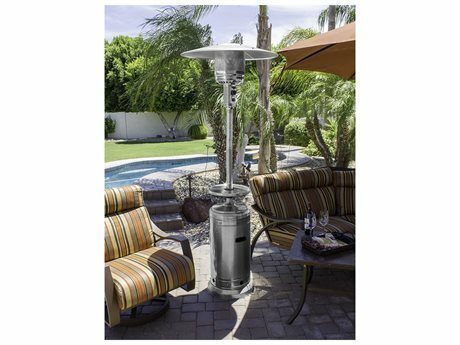 Stainless steel patio heaters are outdoor patio appliances powered by a variety of fuels to produce comfortable heat in numerous settings. 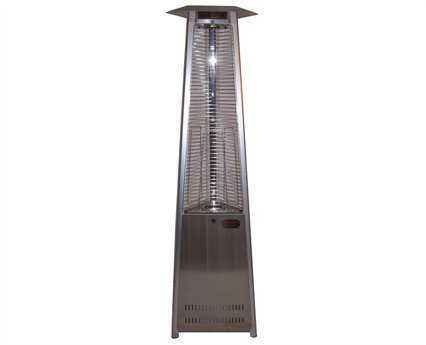 These heaters include stainless steel propane patio heaters, natural gas heaters, and infrared heaters. 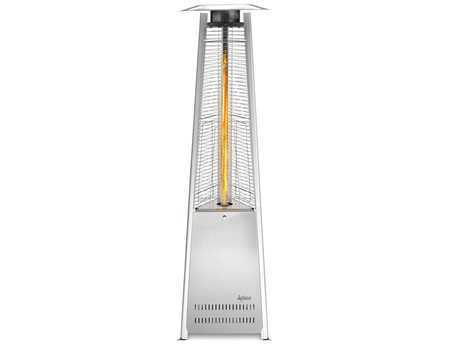 With a sleek, contemporary aesthetic, stainless steel heater models are strong and durable. 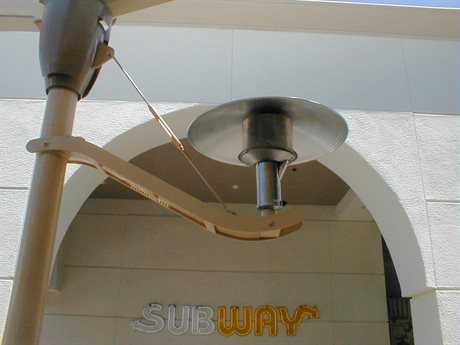 They are generally protected with an advanced powder coating for resilience to rust, corrosion, rain, and snow. 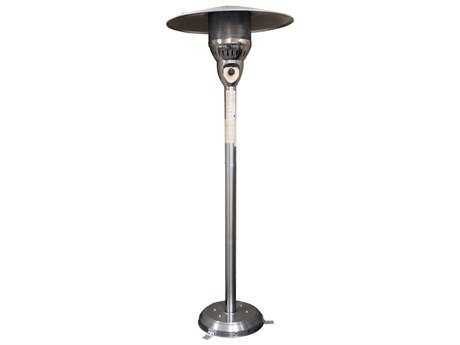 Suitable for styling in commercial and private residential patio settings, these heaters perform well in cool climates and can keep outdoor spaces comfortable and suitable for use well into the fall months. 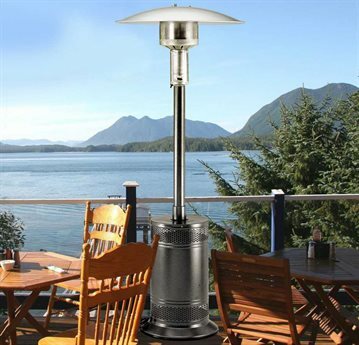 PatioLiving carries a diverse inventory of stainless steel heater options, with sizes, colors, and styles to appeal to various personal decorative preferences and project needs. 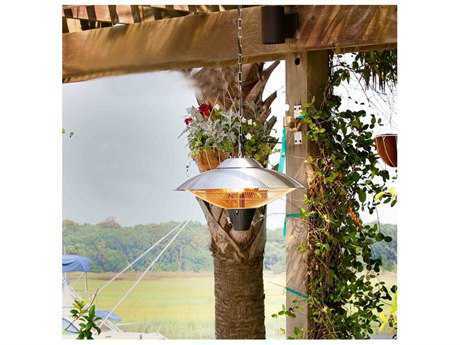 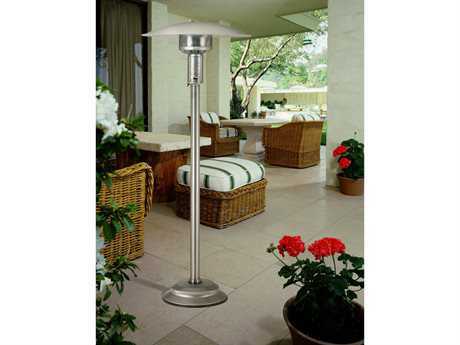 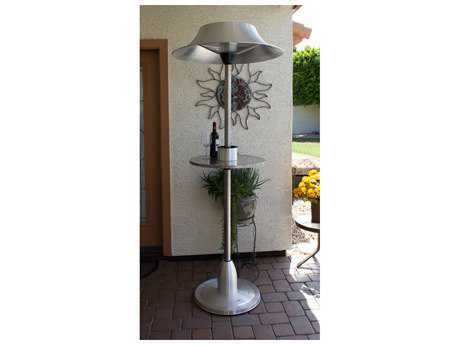 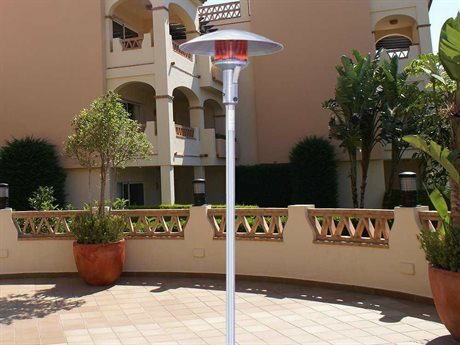 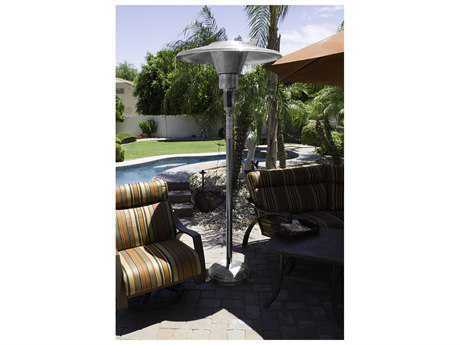 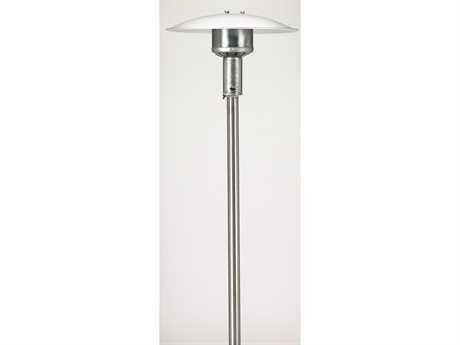 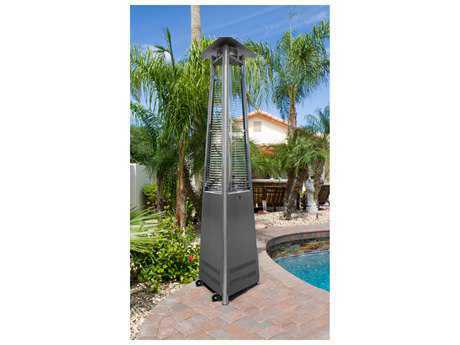 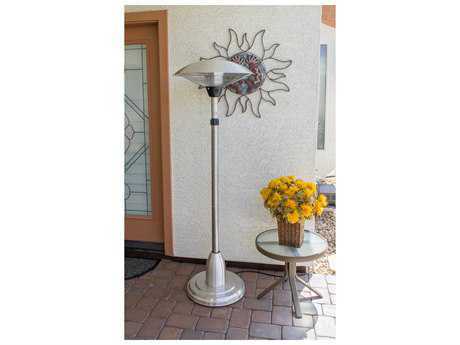 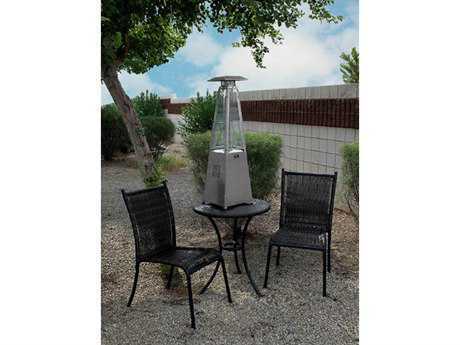 Our selection includes models from premium outdoor heater brands including AZ Patio Heaters, Dayva, Sunglo, and others. 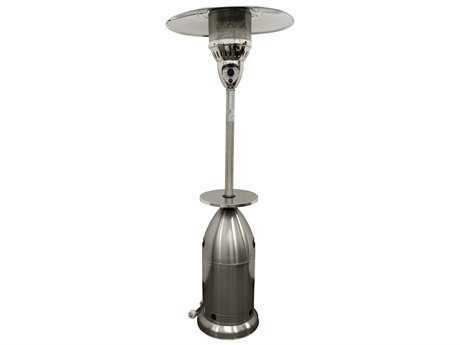 Stainless steel heaters include natural gas, propane gas, and infrared heater types. 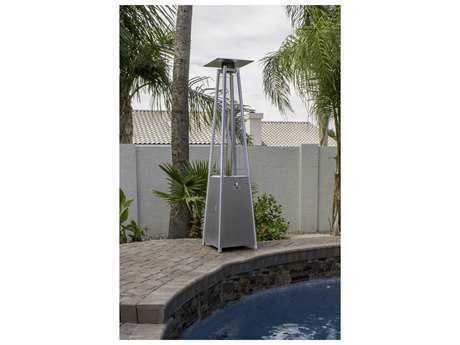 Stainless steel frames range in size from slim mountable units to standing units measuring up to 91" tall, with 38" tabletop options also available. 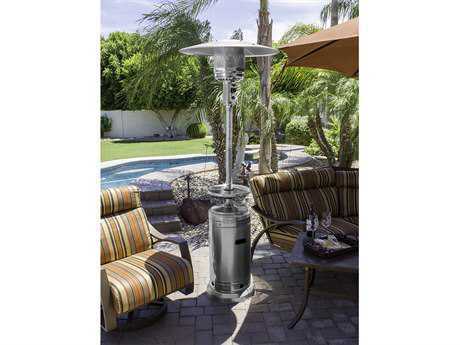 Stainless steel propane patio heaters are fueled by propane tanks, housed in discrete units incorporated into the base heater design. 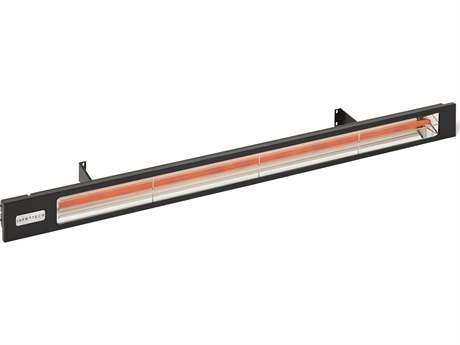 These heaters require tanks weighing between 1 pound and 20 pounds for operation, and heat areas ranging from 8’ to 20’ for varied durations of time. 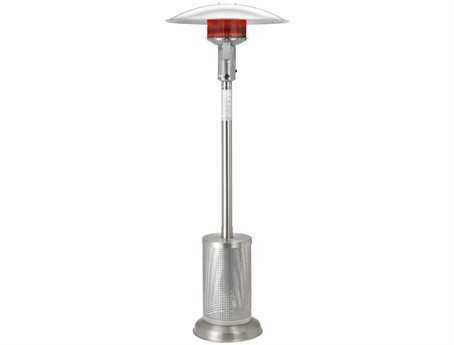 As these models house their fuel source, stainless steel propane patio heaters are highly portable and oftentimes feature wheels for easy adjusting and optimum mobility. 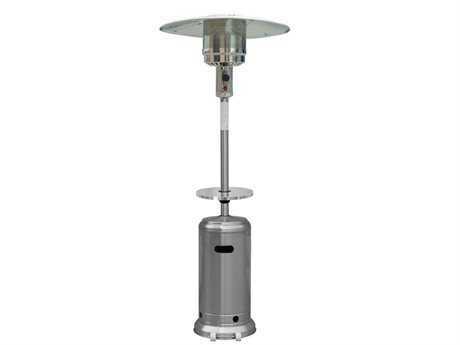 Natural gas heater models require permanent fuel sourcing from a natural gas mount. 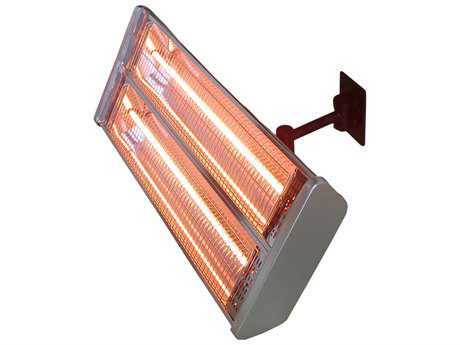 These heaters are preferred because they do not require manual fuel restocking. 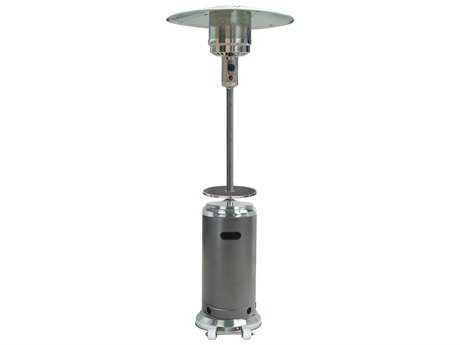 Both natural gas and propane models operate by heating the air of a defined vicinity. 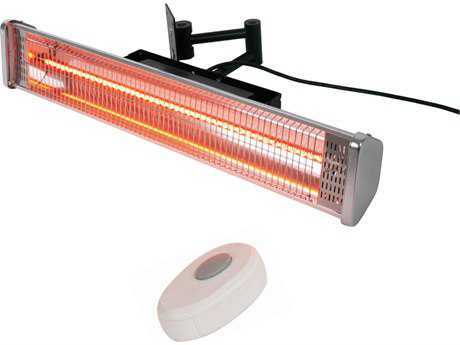 Infrared heaters function by directly heating objects, such as furniture and individuals, and offer powerful heating capability while boasting efficient energy usage. 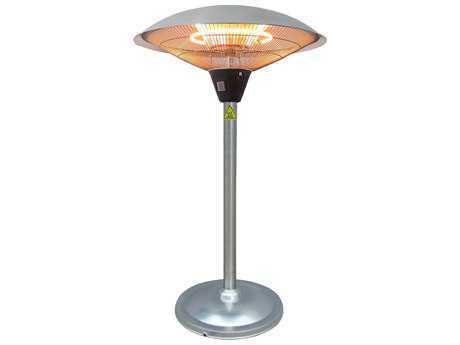 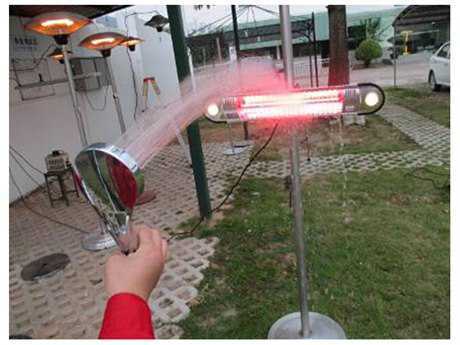 These heaters can be powered by gas or electric fuel sources. 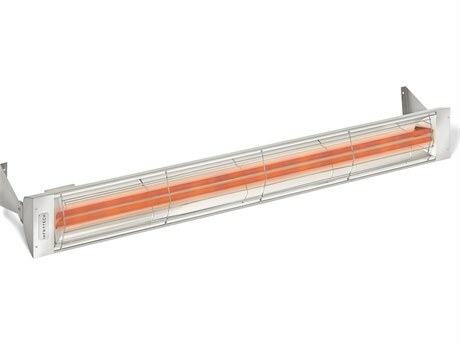 Many slim heater units utilize infrared technology to emit heat, and can be mounted to various stable ceiling and wall structures. 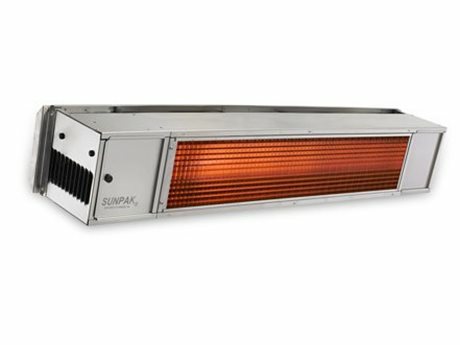 With 100% safety shutoff, direct spark ignition, and safety grille elements widely available, slim infrared mount units are an unobtrusive steel heater option suitable for use in compact settings. 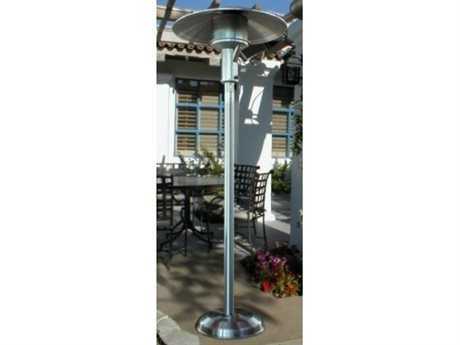 Stainless steel style heaters contribute contemporary, decorative appeal and functional value to any outdoor patio setting. 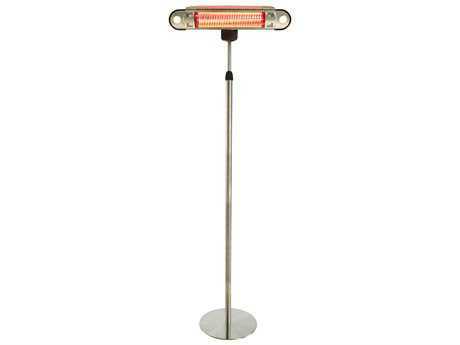 These heaters are available in a variety of shapes and sizes, with most models offered in several finish options for a customized look that reflects your personal style. 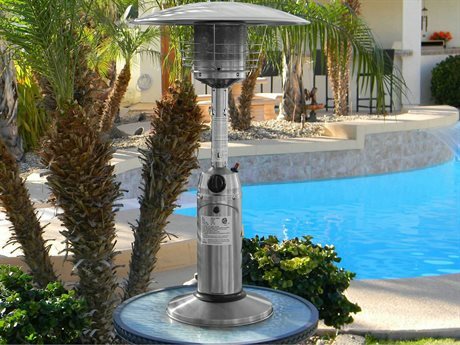 With mount and standing stainless steel propane patio heaters, natural gas heaters, and infrared heaters available, it’s easy to find a heater that matches your project needs. 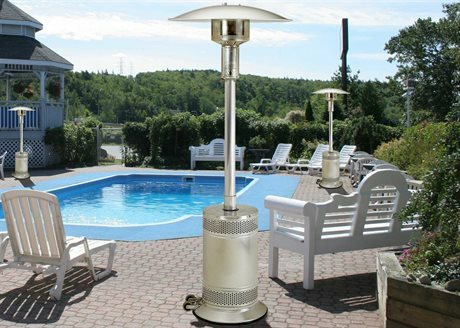 Stainless steel heaters appear well when paired with any modern dining or lounge set, and are relatively low-maintenance being highly durable and resistant to damage from inclement weather. 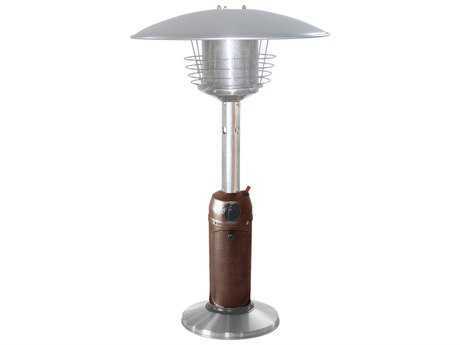 To learn more information about outdoor heaters, read PatioLiving's Patio Heaters Buying Guide to learn more about the different types of heat, styles, sizes, and features that are best suited for your outdoor living space.